Butch began square dancing in 1984 and cueing and teaching choreographed ballroom (round dancing) in 1986. Butch has been a member of RoundaLab, The International Association of Round Dance Teacher, INC. since 1987 and co-founder of the Bloxom Bunch Round Dance Club in Winchester, VA. Butch is a member of the Shenandoah Valley Callers Council and The Virginia State Callers Association. Roberta began square dancing in 1977, followed by choreographed ballroom (round dancing) in 1978 with teaching of choreographed ballroom dancing in 1980. Roberta has been a member of RoundaLab since 1981 and co-founder of the Melody Seekers Round Dance Club in Fairmont, WV. Roberta is also a member of the Shenandoah Valley Callers Council. 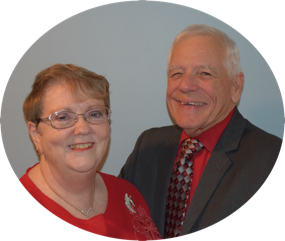 Butch and Roberta have over 60 years of combined dancing, cueing, and teaching experience. Each have participated in many dance weekends, national square and round dance conventions, and various state festivals in Virginia, West Virginia, Maryland, and Pennsylvania. 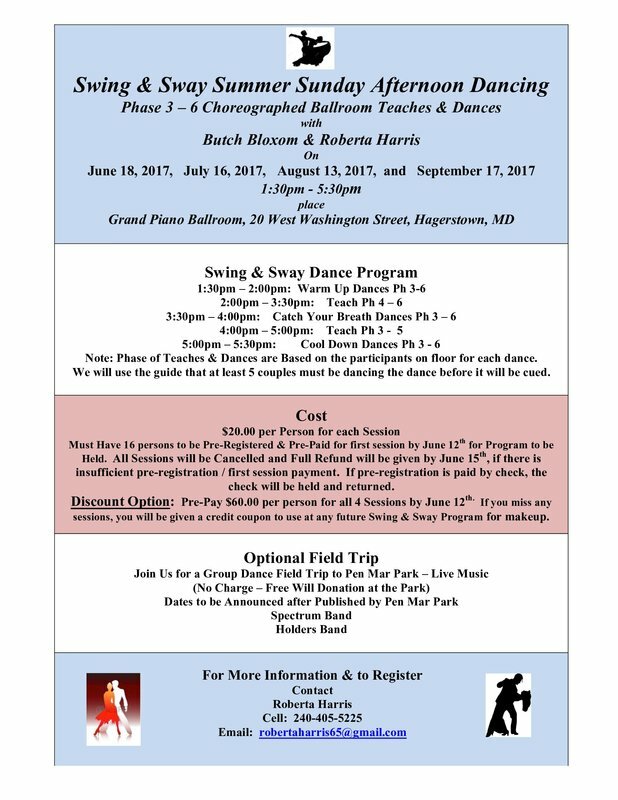 Since September of 2010, Butch & Roberta have come together to continue their activities of cueing and teaching of choreographed ballroom dancing with a mutual commitment and dedication to furthering the choreographed round dance movement locally, regionally, and nationally. 7. Provide choreography ballroom dance instructions for participants in weddings, special occasions, and individual tutoring. 8. Conduct educational activities and private tutoring for other Cuers and their partners. ​9. Take private lessons to improve their own dancing and teaching methodologies from international choreographed ballroom instructors, and attend other educational opportunities, as available.